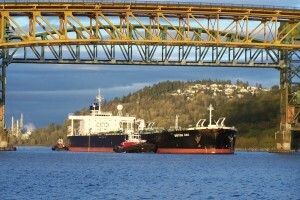 Port users who wish to conduct certain marine operations within the Vancouver Fraser Port Authority’s jurisdiction are required to apply for a permit. Each application is examined so that any safety and operational concerns can be addressed, in order for the event or procedure to be safe and successful. Any non-operational or public event within the port authority’s jurisdiction also requires a permit. For more information, see Land and Marine Event Permits. Each marine operations application is examined so that any safety and operational concerns can be addressed, in order for the procedure to be safe and successful. To begin the process of applying for a marine operations permit, visit the Pacific Gateway Portal. Once you have registered for an account and have a user name and password, click on “Marine Events” to apply. Questions on this process may be directed to the Operations Centre at 604.665.9086. There is no fee for a marine operations permit. 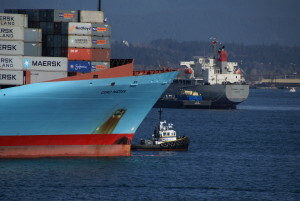 All naval vessel visits and activities at the Port of Vancouver are handled by a Maritime Forces Pacific representative. For inquiries, phone 250.363.5848. Upon approval from the Royal Canadian Navy, the naval visit information must be submitted through the Pacific Gateway Portal.